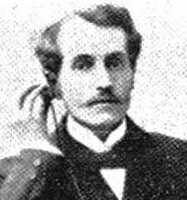 The Geneva-born François Dussaud was a pupil of Professor Emile Yung, and, at the early age of twenty-three, held the chair of physics and chemistry at the Ecole de mécanique in Geneva. He was one of Europe's first researchers in the synchronising of sound and the cinematographic image, along with the Frenchmen Auguste Baron, Henri Joly, Clément-Maurice and Henri Lioret. His approach was based on his own invention, the microphonograph (December 1896, Faculté de médecine at Paris), a system for electrically recording and reproducing sound, combined initially with mechanical amplification and, later, with acoustic amplification, which he constructed with the clockmaker Casimir Sivan. Dussaud always maintained his ties with his native city, but from the summer of 1898 he pursued his work in Paris. He was associated with Georges Jaubert, professor of physics at the Ecole polytechnique, and Berthon, engineer and administrator of the Société industrielle des téléphones. On 13 June 1897, Dussaud, Jaubert and Pereire, director of the Compagnie générale transatlantique, formed the Société du Phonorama, named after an audio-visual system which was publicly presented at the Musée Oller, 28 Boulevard des Capucines, from April to July 1899. The Exposition universelle of 1900 was an important stage in Dussaud's career. His inventions were presented in the setting of the Swiss Village, in conjunction with the Pathé Phonograph. At the same time, his company's pavilion housed the Phonorama, though with how much success is not known. This system of synchronised projection involved a battery of a dozen microphonograph rolls corresponding to as many filmed 'scènes', the sound being conveyed through individual ear pieces. The hand coloured films, made by Félix Mesguich, were of two kinds, the 'scènes de la vie parisienne' and a series of 'cris de Paris', in contrast to the spoken or sung numbers making up the repertoire of other systems. Dussaud had earlier (1898) invented a Phénakistiscope for the blind - the microphonograph had been intended mainly to relieve certain forms of deafness - and was equally interested in reproducing colour. On 7 April 1904, sponsored by the popular daily Le Petit Journal (Paris), he presented his Dussaudscope, based on a process as yet unidentified. 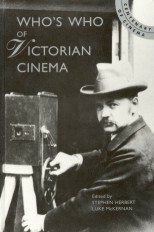 Some Pathé colour films such as L'antre infernal (1905) or L'arête malencontreuse (1905), could have been made using this system in the same way as open air subjects. At the time the inventor was close to Charles Pathé and his brother Emile. He worked as consulting engineer for the Pathé firm from its refounding in 1900. In addition, the société Dussaud, one of the companies formed to distribute Pathé's films, was responsible for nine départements in Northern France and for all of Switzerland, an activity which also involved Dussaud's brother-in-law, Charles Ackerman. During the First World War he remained in France, taking part in the war effort as a scientific research assistant. In the early 1930s, his research in the field of 'endomechanics' has led some historians to claim him as a cybernetics pioneer. What remained of the inventor's personal archive was deposited in 1994 at the Geneva public and university library (Papiers Dussaud).